Little People is an electronic music produced based in London. He is known for extravagant beats, as well as beats that flirt with the unorthodox. Up until now, he has been using a lot of samples and chops from other tunes. However, his album We Are But Hunks Of Wood marks the end of his well-traveled path of sampling. His album will officially be released October 9. So prep your ears, Little People is coming at us with a brand new bag. Long term fans of Little People have been yearning for a full length album ever since the highly praised Mickey Mouse Operations, which was released in 2006. Last month, we were generously teased by his single "Aldgate Patterns". For those who have listened to that track, it does a good job in representing what is to come in We Are But Hunks Of Wood. As mentioned earlier, every sound you hear in this album is original. The mood of the album tends to sway towards the chiller, more experimental side of downtempo. Since he did not use samples, needless to say the six-year gap has definitely changed his style quite a bit. In We Are But Hunks Of Wood, you'll hear an eclectic collection of sounds, synths, beats, and ambient all the while complemented by a downtempo beat. "Electrickery" incorporates such elements and is layered in a dynamic fashion that is soothing and pleasing to our sound-machines. Little People is also known for making some bodacious beats (check out "Basique") behind his experimentation, which tends to be one of the characteristics that help him reel in fans by the numbers. If you are worried that he is shifting away from this side of his production, there is no need to fret. His groovy, banging side still shows through in this album, but with a slightly different face. In "Marzipan Children", which is the kickstarter to We Are But Hunks Of Wood, involves the classic Little People elements such as the piano, subtle strings, and of course a great beat. However, he slaps on an electronica persona to his recipe, giving it a nice and fresh blend. The height of my experience with this album just happens to be smack dab in the middle of the track-listing. "MakeMeBetter" can arguably be the culmination of Little People's influences and skills as a producer that he had developed in the six-year gap as well as the addition of his current path and tastes. Groovy beats with a side of synths, I suspect that most listeners, whether Little People fans or not, would like this particular tune. It's a well-rounded track with plenty of energy and effects that will win your ears over. And if you listen closely, a little bit of Ratatat essence may poke through in the first half of the song. 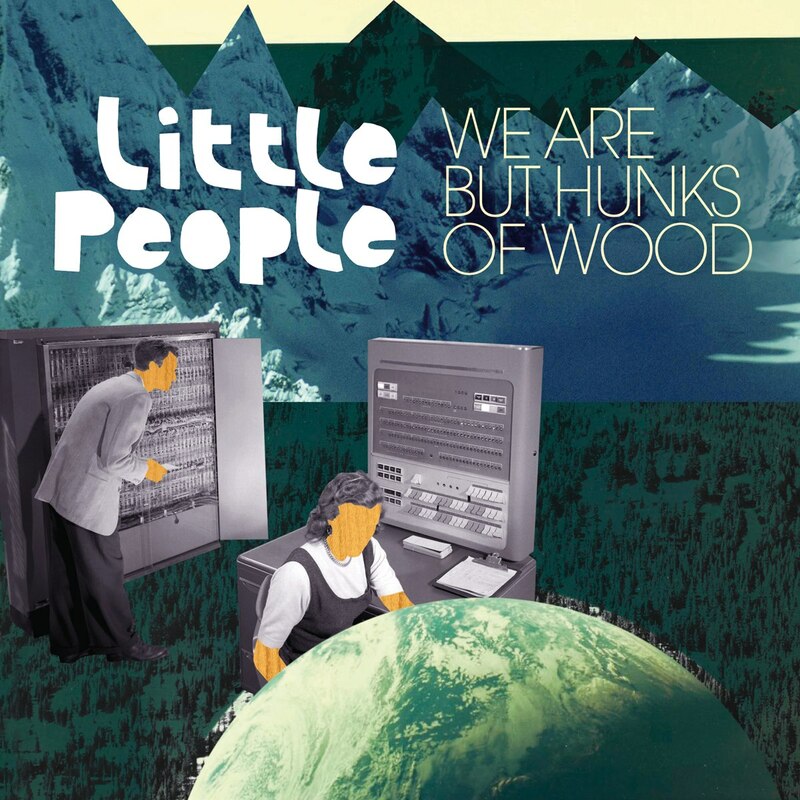 For Little People, We Are But Hunks Of Wood is a great album to step back into the major airwaves. Little People has been remixing, doing live sets, sampling, and developing a new sound for quite some time. And it has paid off. I found myself seven tracks in without even the slightest urge to press 'skip'. In an age where dabbling and experimenting in the electronic music scene is today's music forefront, he is definitely heading in the right direction. Fans of Little People will not be disappointed with his latest album, and curious listeners will be tractor-beamed into his exotic yet strangely inviting beats and soundscapes. We Are But Hunks Of Wood because it is a definite must in your precious music collection.